Be careful the next time you find yourself in a wacky situation that seems set up just to elicit a funny reaction from you. You might secretly be being filmed—and this time it’s not for the ongoing Truman Show that is your life, nor the Silly Surveillance video series that the NSA puts together every year. It’s because Candid Camera is coming back. As reported by Variety, TV Land has picked up the former television mainstay—first seen back in 1948—for 10 episodes that will revive its basic format of filming staged crazy things happening to normal people, then laughing at them for how they respond. 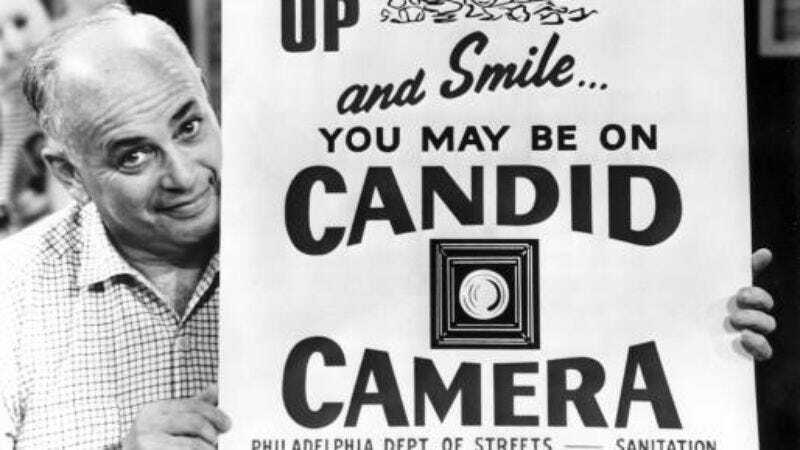 But according to the show’s new host Peter Funt, son of Candid Camera creator Allen Funt, it’s not about making people look stupid. He says it’s “all about the zeitgeist. What we do tells us a lot about the intellectual, cultural and moral climate of our times.” Also, it’s pretty funny to see people get flustered. “Look at that man,” we’ll say. “He thinks he made that thing happen, but all of the people around him are just actors. Look at him get nervous!” Zeitgeist, indeed.